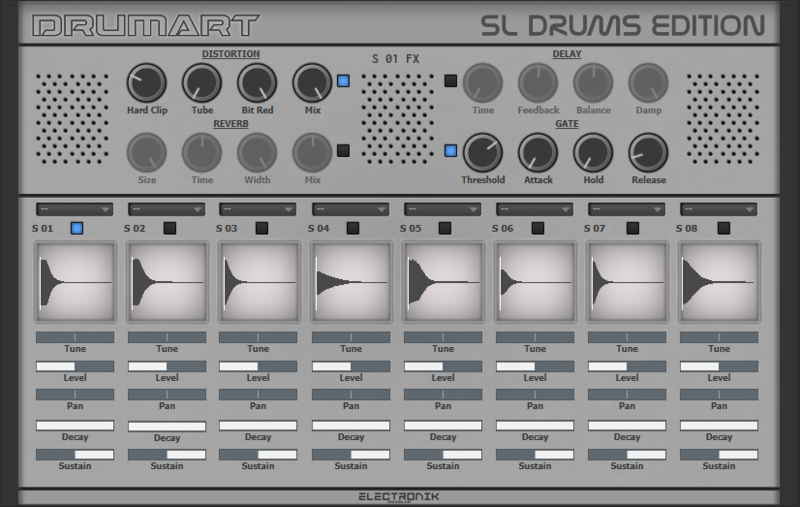 Drumart SL Drums Edition by Electronik Sound Lab is a Virtual Instrument Audio Plugin and Soundware (e.g. samples or presets that load into other products). It functions as a VST Plugin, a VST 3 Plugin and an AAX Plugin. Drum kit library for Halion Sonic SE 3. 4 effects in each sound (Reverb, Delay, Distortion, Gate).